As soon as the Nokia 808 PureView was launched last year, powered by Symbian, the cry immediately went up for a Windows Phone version of the phone. For nearly a year, rumors of such a device circulated until we finally reached the point that we are at now, just a matter of days away from the launch of the Nokia Lumia 1020. With the launch taking place on Thursday, gone are the portraits taken by Mr. Blurrycam, replaced by`clear and sharp photos as good as those done by any baby photographer inside your local Sears or Walmart store. According to the same source that leaked the press photo of the device, the Nokia Lumia 1020 will have a 41MP camera with the ability to take a 32 MP and a 5MP picture at the same time with an aspect ratio of 16:9, 39MP shots can be taken in 4:3 and it will be the first Windows Phone model to offer 2GB of RAM. The device will have 32GB of native storage with no microSD slot. Along with the phone comes a new app called Pro Camera which will support the IOS, White Balance and Manual focus. It will allow you to handle changes to the shutter speed, and offer more options for the flash. The phone is expected to be heading to AT&T where it will launch later this month for $99.99 after a signed two-year pact. And that is the whole picture at the moment. No matter how this will sell, it would be 10x more successful if it ran Android. You just can't deny that. last part is yes and no for me. 99.00? WOW I was expecting slightly higher. SOLD! What do you expect? It's the same thing from last year with upgraded camera and 2 gig's of ram. Pretty sad that the "focus" on these windows phones have now turned towards the camera. The last time I used my Note 2 camera was 2 weeks ago when I took a picture of a Maxipad box. I did not need a 100 megapixel camera to get the job done. And I was not taking pictures of the box in the dark. Honestly; do people use their camera's more than the core features of the OS? Should we start calling these WP devices camera phones with smart features instead of Smartphones with camera's? Too much weight is placed on the camera in this instance. Yo, fanboy: just because you lack creativity and suitable technical skill with a camera doesn't mean the rest of us follow suit. Also, megapixels have nothing to do with low light sensitivity. I suggest that you read up about imaging technology before you make clueless comments about the value of being able to take quality pictures with your smartphone... Also, I have yet to see any critical features that WP devices are missing compared to their Android or iOS counter-parts. Yes, there is no offical Instagram app, but I could give a flying frack about it. When I can no longer access the net, or check my stock portfolio, then I might consider switching - but only to another carrier. 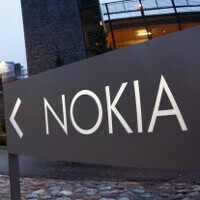 Nokia hardware rocks, and if you don't own it, then you're clueless! OK, definitely my first choice phone now without a doubt! ;Drools: over the yellow version. As much as I hate to say it and deny T-Mobile the sale of a 925 and thus showing my continuing support, if this comes out before September, it's the one I'm getting. They should have launched the 928 and 925 about three months earlier, respectively. Six-month exclusivity is too long. Four at most. Yellow, definitely. Get it in the same color, maybe she won't notice? Let me save the trolls the trouble Blah Blah Blah ugly design, Blah Blah Blah giant brick, Blah Blah Blah Too heavy, Blah Blah Blah ugly protuding camera, Blah Blah Blah nokia fail, Blah Blah Blah other nokia hate stuff. Ok I think it looks good. I want a blue one and i like the flash lens design. Include phonearena in as part of the troll army. I guarantee they'll come out with a photo comparison and declare the Nokia 1020 was rated 4th. Nokia phone camera's have been rated extremely well every where else but on this site. blah blah blah like you said. So PA has never given any positive comments about the 808? And to be quite honest, the iPhone 5 has a better camera than the Lumia 920. Where the 925 and 928 shine is in low light photography. But nonetheless, the new king is being revealed in less than three days. Killer photography on a mobile device. One of a kind; excluding the 808, also made by Nokia! I'm taking the Yellow one, will look so good against my Cyan Lumia 920, can't wait any longer come one Nokia release it as fast as you can, i want to take picture's ! Greetzz. 2 gigs of ram? wow...wonder what for but that's great It looks great...just like I wanted...akin to 920 but with a different back which screams "I'm the best!" where did I write I needed that? If your phone activity is limited to games, you´ve got dull and unispired life. I don´t play games. I don´t like them. Are you 14? I travel a lot. Good gps is a must. I take photos very often but I don´t carry a stand alone camera all the time. Whats more, you wouldn´t be able to tell the difference between pro camera and PureView without further examination. EOS will have 2GB RAM.